Good Morning and happy Thursday! We are moving along through the week, one more wake-up until Friday, and if you’re anywhere in the Pacific Northwest, you are likely watching the weather forecasts as they progress. We have incoming snow – they say it’s a for-sure, not just a guess. We could possibly have snow showers all next week, but that’s just a maybe, tomorrow night into Saturday I have heard estimates of between 5 inches to nearly 12 in places. Bundle up, make sure you have food you can cook on a camp stove if the power goes out, and have some fun in the snow! 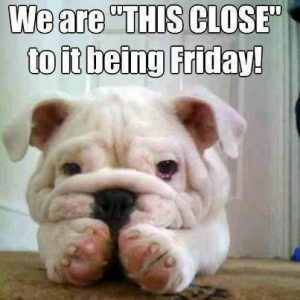 We just have to get through today first, right? God’s people and God’s ministries are constantly under attack. Satan does not sit idly by while his kingdom is plundered. But those on the front lines of ministry do not need to fight alone. You can help them. You can “join the struggle” by praying to God for them. 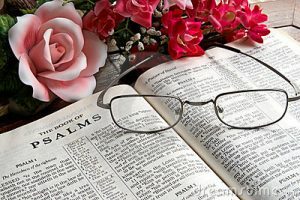 I know at HEARTLIGHT we truly need your prayers for protection, for power, and for wisdom. Others you know need similar prayers. More than money, more than pats on the back, more than notoriety or success, God’s servants and God’s work need your prayerful support. It is no secret that I love our President and I am ecstatic over all the amazing good he has done for our nation in two short years. Job growth is at an all time high, our economy is doing great, we are now the biggest oil exporter in the world (who would have thought THAT would ever happen!) and we are solidly in support of Israel. There is a lot wrong with our government, but I blame Democrats and Rinos for most of it. Watching bits and pieces of the State of the Union address from the other night had me cheering in my easy chair, thrilled that I can watch it and be enthusiastic about what is going on in our country. When he said we will NEVER be a socialist nation I don’t know what was better, the applause, or wondering if Bernie Sanders was going to explode! Seriously, did you catch his expression!? 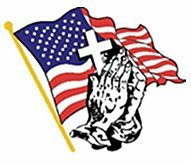 Today I am thanking God for our President and praying that we can support him through another term. 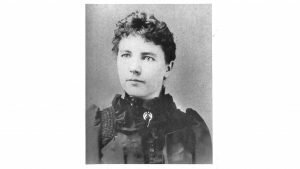 Laura Ingalls Wilder Day – How many of us grew up reading the Little House on the Prairie books by Laura Ingalls Wilder, and watching the TV series by the same title? They were such a part of our childhoods, sparking our imaginations and bringing adventure that we weren’t familiar with personally into our lives. Ms. Wilder was born on February 7, 1867 in Wisconsin. Her life and words would be studied and celebrated for generations to come. She was an American writer best known for her series of 8 children’s novels – the Little House on the Prairie series that tells her about her family’s frontier life and their journey west from a log cabin in Wisconsin, to the plains of Kansas and ultimately to a small down in South Dakota. Wilder’s career as a writer started later in her life, at age 66, with the publication of “Little House in the Big Woods”. Her series was loosely based on her life, though she leaned more towards fiction and a positive spin, rather than tell the darker stories that would have been included if it were an autobiography. Her books have been enjoyed and passed along from generation to generation, igniting the imaginations of young minds for decades. 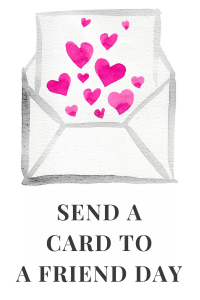 Send a Card to a Friend Day – Most of the time what I find in my box is a stack of bills, a bunch of junk mail and occasionally a slip to pick up a package at the post office. Every once in awhile though, there will be a card in there from a friend or a family member – usually for a holiday or a birthday – but on occasion I will get a card for no specific reason, and the response in my heart is always the same – I feel REALLY good when I see it! Today is Send a Card to a Friend Day and is a great chance to get in touch with a friend. We are all so busy scurrying here and there with our busy lives that it’s easy to let far too much time go by between the times when we are in contact with our friends. Today is the perfect chance to send card to one of those people and make them feel really good when they get it. Even though it isn’t nearly as fun to receive, an E-Card will work in a pinch, and will let your friend know you’re thinking of them. 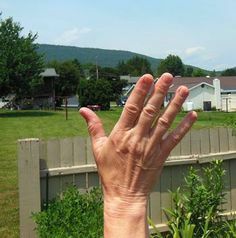 Wave All Your Fingers at Your Neighbors Day – I’m one of those folks that doesn’t feel that getting to know the neighbors is such a good idea. In my personal experience it often leads to people always wanting to drop by or asking to borrow stuff. I don’t want that. We have good reason not to like the guy on one side of us, and even better reason not to like the woman who lives on the others side, though we did get lucky with the neighbors across the street. They keep to themselves, but we can wave or say hi to each other without starting any strange, unnecessary friendship. We live in a world where we don’t necessarily know our neighbors, but this doesn’t preclude us from acknowledging them. Wave at them – wave all of your fingers like you mean it! If you put a smile on your face at the same time (no, it won’t crack) you will appear to be friendly! Trust me, friendly is nice. Overly friendly invites people to borrow your stuff. Wave, smile, move on! hahaha if you happen to be close to your neighbors, that’s awesome. But if you feel like me . . . well, wave all your fingers at them. It’s a lovely compromise. 1964 – The Beatles come to the U.S. for the first time. 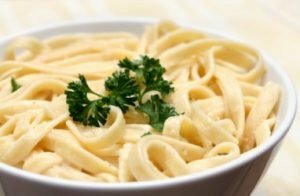 National Fettuccine Alfredo Day – In 1914, Roman Chef Alfredo di Lello dressed pasta with butter and cheese for his pregnant wife. Americans later went mad for it, making the sauce creamier and adding seafood or chicken to the mix. The good thing is that the sauce is low-carb and the rest can be made low carb by using zoodles (zucchini noodles) instead of pasta. I’ve said it before, and I’m saying it again. My hubby is wonderfully. As this posts he is outside, in the cold, heating up my car and scraping the ice off of the windows so I don’t have to. Love is doing things for your special someone, and them doing things for you. I’ll be here in the warm house packing his lunch and making his breakfast. Love is pretty grand, isn’t it? Well, now that the car is warm, I can go. God bless you and I’ll see you tomorrow!